The Federal Constitution of 1988, a juridical symbol of the Brazilian state's process of re-democratization, also promoted a significant alteration in the conceptual and juridical paradigm of indigenous politics in Brazil. Amongst the established rights and guarantees for Indigenous Peoples, cultural specificities, the right to historically occupied land and autonomy would be expressly recognized. After almost 30 years since the proclamation of the Carta Cidadã of '88, it is time to evaluate how political, economic, and social dimensions have influenced the processes and promotion of these rights, and focused on the established relations with Indigenous Peoples in Brazil. Various topics come to assume a prominent position among the fundamental debates related to the indigenous question: the question of land, the concept and models of development, and the confrontation between interculturalism and the monocultural paradigm dominant in the shaping of social relations. Even the current positive legal framework which respects the defence of indigenous peoples is being recently revised, through the proposal of altering constitutional and infraconstitutional devices that guarantee their rights. For these reasons, it becomes essential to open up an academic space of debate, critical reflection, and expression of knowledge that could offer a wider range of positions and production on the topic. Brasiliana therefore proposes to open a space for debate to discuss Brazil from perspectives departing from relations involving the indigenous part of society. Lendo alteridades, forjando identidades à luz da Segunda Escolástica: Antônio Vieira, um jardineiro de almas selvagens. Alfredo Bosi (trans. 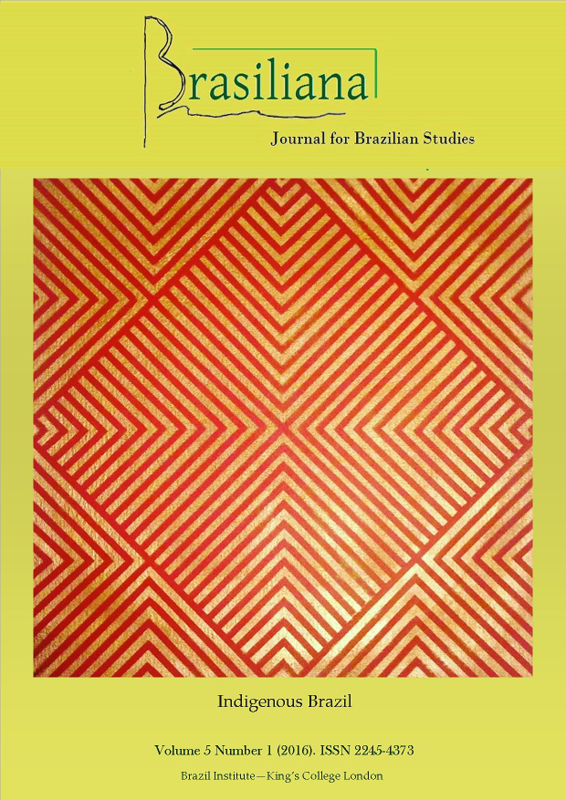 Robert P. Newcomb) (2015) Brazil and the Dialectic of Colonization. University of Illinois Press: Urbana-Champaign, 392 pp. Reconhecimento dos rios Içana, Ayari e Uaupés, por Curt Nimuendajú. Athias, Renato (Org.) Rio de Janeiro: Museu do Índio-FUNAI; Recife: UFPE, 2015.